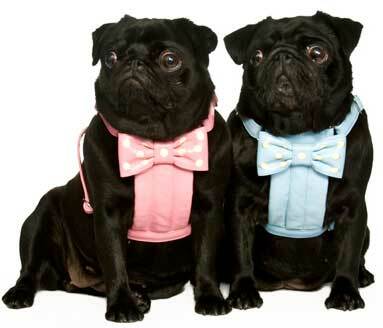 Bow Harnesses for your dog. Teeny, Small, Medium & Large. 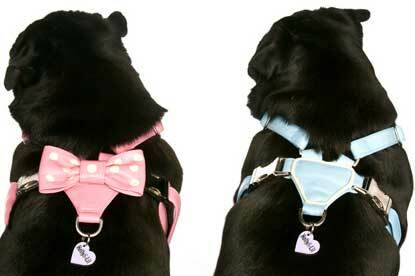 - Holly & Lil Collars Handmade in Britain, Leather dog collars, leads & Dog harnesses. 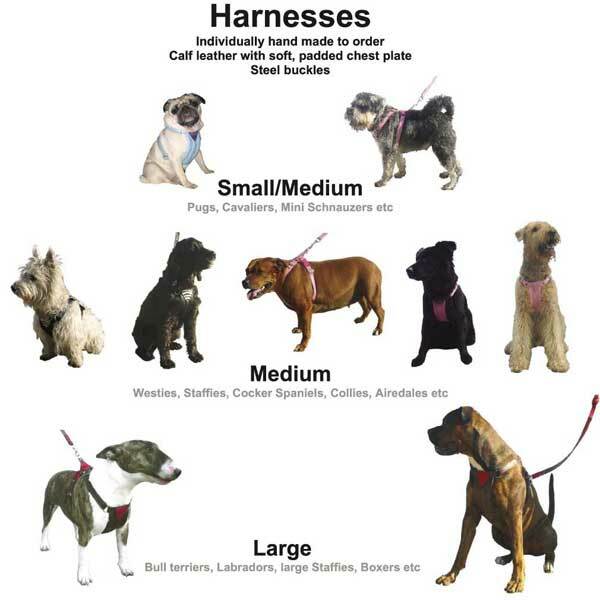 Home / Dog Harnesses / Bow Harnesses for your dog. Teeny, Small, Medium & Large. 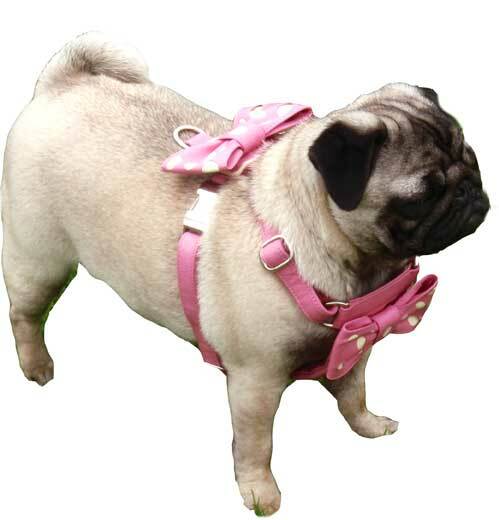 Bow Harnesses for your dog. Teeny, Small, Medium & Large. It took us a year to prototype, test and refine our harness design, even going to the extent of importing the slide clips from the USA. 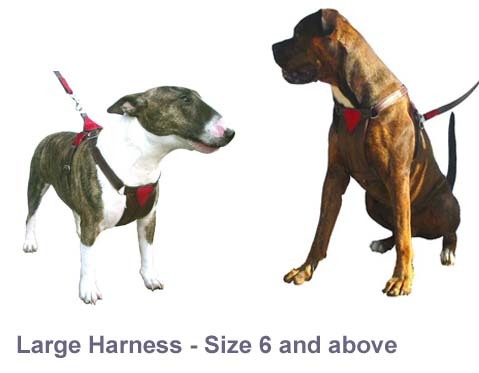 Our final pattern was tested for several months by two wonderfully energetic Staffies and they emerged with thumbs up. See the comments below from Carol, owner of Rosie. 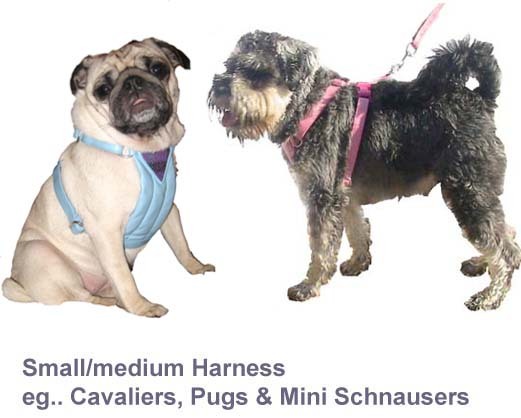 Individually made to order by our craftsman (delivery 6-8 weeks) our harnesses come in X-Small (for Chihuahua), Small, Medium and Large . Extra-Small coming soon. The main body is calf leather with a softly padded chest 'plate'. Then all you have to do is select the colour of the bows you would like and the spots colour. On the Small & the Medium harness the bows on the chest are 2.5" and by the lead connector 2"
On the Large harness the bow on the chest is 3" and by the lead connector 2.5"